By the time we reach the end of the school year and the end of the history book, Rome begins to weaken and this is also the title of Chapter 40. The Celts and Boadicea captured our imagination. The kids colored the queen of the Celts in pretty pink and green colors. 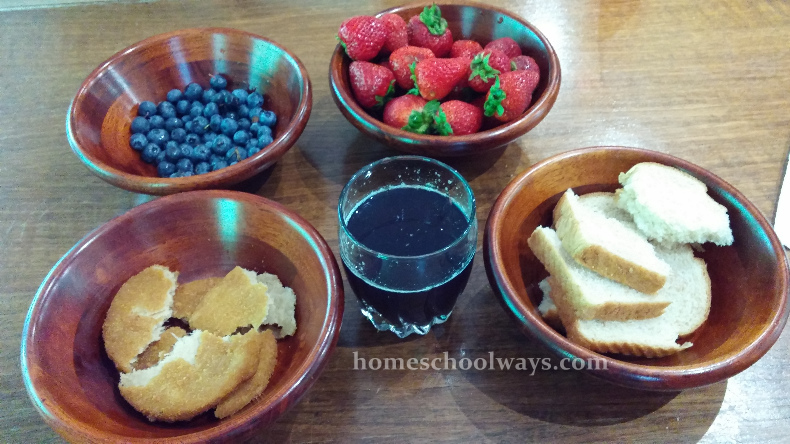 Then, we had a Celtic feast as suggested in the Activity Book: berries, grape juice, bread, and (vegetarian) chicken.